Could Hillary Be Forced To Drop Off The Presidential Race? Hillary’s days as candidate for president may be numbered; if Joe Biden decides to run, could it be over for Hillary? Not even Bill Clinton may be able to save her; the only remaining option to avoid a humiliating defeat in the primary would be for Hillary to drop off the race. Is Hillary’s doomsday approaching? 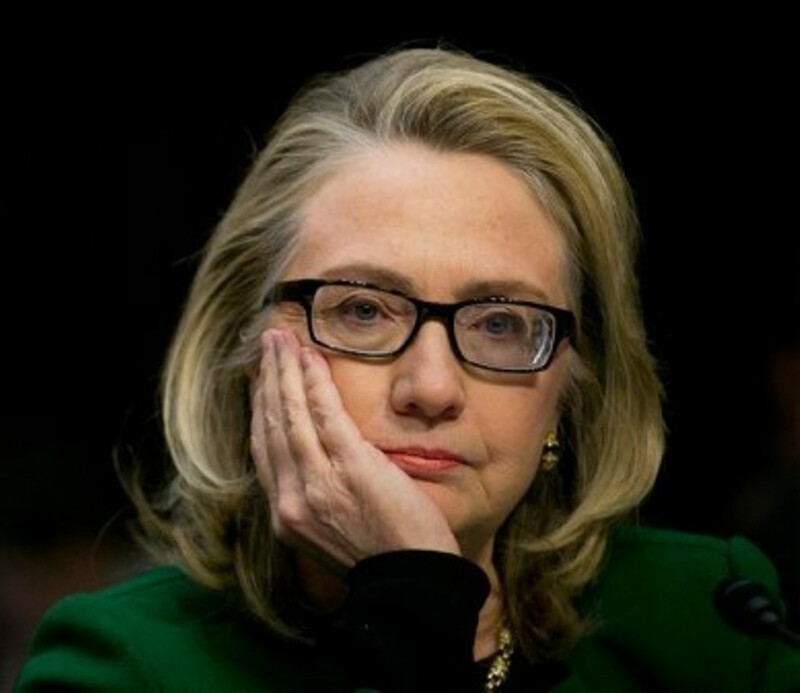 The day it became public knowledge that the ex-secretary of state, Hillary Clinton, used a private server to conduct government business, I knew her life would never be the same, I knew right away her candidacy for the seat of the presidency would be in serious jeopardy. Not because of the incident itself but mainly because it is election season and Mrs. Clinton is seen as the “anointed” candidate for the Democrat Party. When FBI announced that a criminal probe is under way regarding the email debacle dubbed “emailgate”, I know that could mark the beginning of the end of Hillary’s run for president. Without much help from the Republican Party, Hillary’s campaign has been suffering major setbacks. The Independent Senator from Vermont, Bernie Sanders, the closest competitor is reaping all the benefits; Hillary’s supporters are not just flocking to Sanders’ rallies, they are also rallying behind him. The proof is in the polls, the latest of which (NBC/Marist – 8/7 to 9/2) has some startling revelations, Bernie is leading Hillary in NH by nine points (41 / 32). And it’s not just a flash in a pan surge; since the beginning of August, polls by various groups show Bernie ahead of Mrs. Clinton by at least seven points. Could it really be seriously over for Hillary? That’s what Republicans are hoping for. They are rightfully afraid of a Hillary nomination – we’ll have something to say about that in a future column – If you recall that well before Mrs. Clinton even decided to make the announcement she’s running for president, hopeful Republican candidates, the Republican chairman, Republican talking heads, in essence the whole Republican political machine was in overdrive, drumming the beat of several songs (scandals) of the past, the main one being the Benghazi tragedy, in order to discourage Hillary from jumping into the presidential race. Somehow, Republicans are able to justify that Hillary is perhaps the most difficult candidate to beat in general elections. Whether their fear is justified is a topic to be discussed in a future column; in the meantime, the Clinton’s campaign has been looking under every rock to find and remove the curse of the 2008 elections which seems to be following her still. Could the “emailgate” be the beginning of a 2008 replay for the Clinton’s campaign? Perhaps! But to judge by how Mrs. Clinton is pressing forward with her campaign – not that she has a choice – one would think the criminal probe by FBI would amount to nothing; it would simply go away. Or would it? Maybe, Hillary knows something we don’t. Regardless, if Joe Biden were to throw his hat into the ring (very unlikely), Mrs. Clinton’s campaign would suffer a serious setback, perhaps spiraling down to a 2016 Scott Walker for President’s outcome. God help the Democrats! Irrespective of external factors to her campaign, emailgate may contribute greatly to decrease Hillary’s chances to win the White House. Although the dissemination of information thus far seems to suggest that Mrs. Clinton had no ulterior motives when she used a private email server, it was nevertheless a great error in judgement to have done so. Even if FBI probe into the server clears Mrs. Clinton of malicious intent, she will face an uphill battle during the general election if she manages to hang on for that long. Thus far, Mrs. Clinton has been playing all the right tunes; she has been addressing all the major issues the country is currently confronting, from income inequality to foreign relations but the real test is coming soon. On October 13, 2015 @ 9PM eastern standard times (EST), the first Democrat presidential debate will take place in Las Vegas, Nevada hosted by CNN. As of this writing, there are only five candidates (Lincoln Chafee,74th Governor of Rhode Island; Martin O’Malley, 61st Governor of Maryland; Hillary Clinton, 67th United States Secretary of State; Bernie Sanders, U.S. Senator from Vermont and Jim Webb, U.S. Senator from Virginia) scheduled to participate in the debate; however, the vice-president Joe Biden may be added to the list even if he announced his candidacy for president on the day of the debate. Would Hillary survive a Joe Biden’s surprise? Would she be able to recover from a sudden drop in the polls? Although it is widely expected that Mrs. Clinton will do just fine during the debate, it is very doubtful she may be able to recover fully from a Joe Biden’s run; in addition, the other candidates will be debating vigorously in the hope of giving some much needed traction to their campaigns. Bernie Sanders who has adopted a populist approach from the onset will stand to gain much from the debate; unless he falters terribly, Bernie will emerge the night a winner. Mrs. Clinton however has much to prove; she cannot afford to waver; she has too much to lose. And if any “further negative news (regarding emailgate)” is released prior to the debate and Joe Biden decides to run, Mrs. Clinton’s days as a candidate would be indeed numbered.